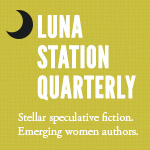 Article on world building, fountain pens and general writing tips await your perusal. Enjoy, here on No Wasted Ink! 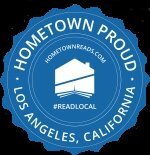 I’m pleased to welcome fellow GLAWS (Greater Los Angeles Writer’s Society) member, D.H. Brooks to No Wasted Ink. A fellow fan of fantasy, comic books and vintage science fiction, Daria is a woman of many talents and I’m sure you will find her story as interesting as I did. My name is Daria Brooks; I write under the name ‘D. H. Brooks.’ A Legacy Of The Pacific is my debut fantasy novel. I took a few creative writing courses at university but did not begin to write fantasy tales until the late 1990s when I built a fan-fiction following online. Being a big fan of the comic book heroes ‘Gambit’ (Marvel Comics) and ‘Tempest’ (DC Comics) gave me rich background material to work with, plus I wrote Thunderbirds adventures as well. A Legacy Of The Pacific is the tale of three teens, raised separately, who come together upon the revelation that they are heirs to a kingdom in the Pacific Ocean near Southern California. 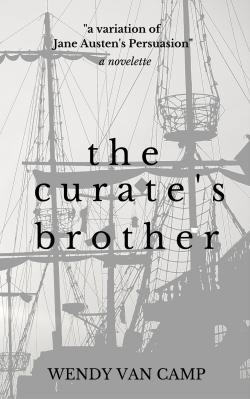 As the story unfolds, distrust and sibling rivalry turn to mutual respect and understanding. They learn to work together to save their home-waters and our coastline. Our family spent many idyllic Sundays at Point Fermin in San Pedro, which taught me to love the beauty of the ocean. 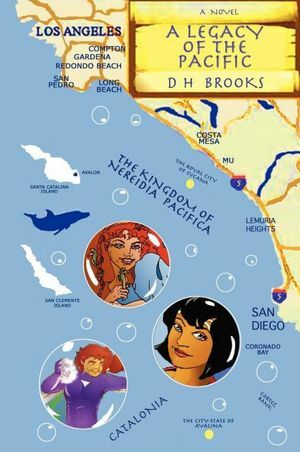 However, I also recall the cola colored water at Cabrillo Beach and terrible pollution and litter in Santa Monica Bay. My novel was inspired by a desire to end public apathy to these dangers. It was the title of a one-off comic book I created in 1993. The title indicates one particular tale of the Cote D’Or family, but there could be other ‘legacies’ to explore later on. What is the significance of the dolls that you hold in your headshot? Did you make them yourself? 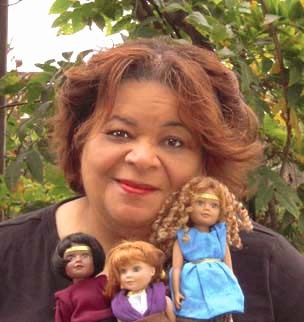 I created the dolls using the Madame Alexander Workshop through the FAO Schwarz toy store; they allow for various shades of skin, eyes and wigs of numerous styles. The dolls were inspired by the trio of siblings in the tale. I’ve been an avid doll-maker for many years, so it was an enjoyable task to create the clothing and to style their hair. Of course, in the novel the kids are teens, not little children, but doll fans love the little guys. What was truly important about this exercise was that all the while I was writing my novel, I was also thinking ahead to the promotion and marketing of this tale. Part of such a project includes coming up with items that readers (and a future movie audience) would connect with and wish to collect, so I explored various elements within the novel which would fit. The Sagara dragons, the glowing swords, the Victorian bubble wand and Pincin’s sea animal friends, Bubble and Squeak, were the obvious choices for tie-in toys and a video game, plus the inevitable princess dolls for Lile and Ciona and action figures all around. I’m looking forward to working with designers on all of the above. Novelists have to envision the “whole package” these days, not just print media. I am hoping that readers are inspired to follow safe litter discarding practices in their daily lives and to donate toward protecting our coastline and the marine animals that call our shores home, particularly cetaceans and sea otters. We are killing them by the thousands with discarded fishing nets and cat litter being flushed out to sea. On the human side, I also want readers to understand the value of working together to achieve our common goals. People bicker too often about petty things, ignoring what we have in common. If you had to choose, is there a writer who you consider a mentor? Not a mentor but more of an inspiration: Clarence Day, Jr. I’ve long enjoyed the way he managed to convey life within his delightful, prestigious family so that it is still hilariously clever nearly 150 years later. A little lady named Daria Brooks translates what I see in my head to the sketch pad. I illustrated the book because I knew exactly how best to express the look and feel of the characters. Is your novel illustrated or did you only design the book cover? How many illustrations would you recommend to other authors that are considering illustrating their novels? A Legacy Of The Pacific was created with four full-color illustrations, and the Kindle e-book version includes them. (The book will soon be available for iBook and Nook within a few weeks). The artwork depicts each of the siblings, with the fourth one being a portrait of Princess Ciona and her beau, the romantic Asterus The Messenger. My publisher, being decidedly small press, was concerned about the ratio of the cover cost for a debut novel vs. the price of printing with full-color illustrations. As a test, we created a short run of full-color prints at a low cover price, which happily sold out almost immediately. (Even I don’t have one)! All print copies available via Barnes And Noble and Amazon.com right now are without the illustrations, sorry to say, as I did not want to raise the cover price. There are plans for later this year to release a second edition of the illustrated version, as I’ve had numerous requests for a copy. As for my process as an illustrator, I always pencil sketch my ideas first, then transfer the line art to Photoshop where I work with various color palettes and tools to achieve whatever vision I’ve dreamed up. Since I am constantly learning to use various options and filters within the program, each piece of artwork features a unique style. When I read novels as a kid, I enjoyed the inclusion of illustrations, particularly in classic novels which often included beautifully etched, dramatic frontispieces. I’m a very visual reader, so I always used my own imagination to decide what this or that character looked like, judging by the descriptions given, but illustrations were always welcome. My suggestion to authors who write in the fantasy or science fiction genre would be to include between two to four pieces of art, if they deem it worthwhile to their project. Grayscale or line art is a great alternative to costly color art. Often, the difficult part is trying to describe your vision to an illustrator, if you are not an artist, since only the writer really knows what the characters should look like. Luckily, I started out as an artist who worked my way into writing; now I enjoy creating both print art and the printed word. Be very careful and patient when seeking a publisher. I picked what I thought was a reputable small press publisher and lived to regret it. Join a writers’ association which matches your chosen genre and get as much legal information as you can. It pays off down the line. Thanks to all who have taken an interest in my young heroes and have sent e-mails or otherwise contacted me to say how much they have enjoyed my novel. I appreciate all of the feedback I have received and look forward to working on the sequel for their further enjoyment. Nothing pleases me more as a writer than to find the exact word that fits the mood or tempo of a sentence. I enjoy playing characters against each other in verbal sparring matches; if their banter makes me laugh, I know it will do the same for my audience. Written and Illustrated by D H Brooks. You may purchase A Legacy Of The Pacific at Amazon.com or at Barnes & Noble. 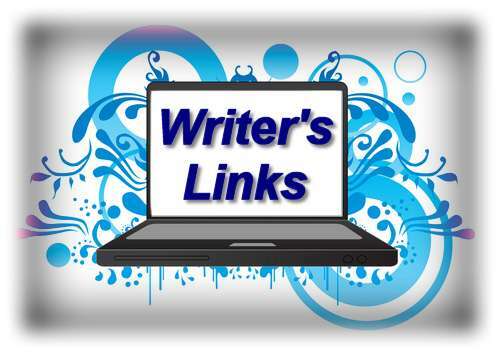 I’m often fascinated about the different programs that authors use to write with or what you need to do to prepare when going to a writer’s convention. 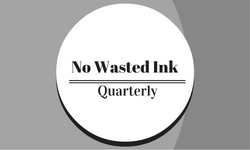 Fortunately, I have a few great articles to share on such subjects here on No Wasted Ink. Enjoy! The Time Machine was H. G. Wells’ first novel of literary importance. He would go on to write The Island of Dr. Moreau and The War of the Worlds soon after. At the time of his writing of The Time Machine, he was a young man of 29 years, a hard working former apprentice to a draper who felt the class system in England all to keenly. Gaining access to books through the connection of his mother who worked in service as a lady’s maid, he was able to gain an understanding to the classics of literature from her employer’s private library. He would later become a socialist, a supporter of women’s suffrage and become a man who loved to fight for causes. H G Wells would marry twice and carry on several affairs with women artists and authors, having several additional children out-of-wedlock in addition to his two sons by his wife Amy Robbins. The idea for time travel came from a student debating society at Imperial College in London. The debate was on new scientific ideas about the nature of time and from there, Wells spliced science fact into his fascination of government and the effects of the English class system. During the period that he was writing the novel, he was renting a flat with his soon to be second wife, Amy Robbins. His landlady disapproved of the relationship and would spend time outside his window in the dead of night making rude comments about Wells and his private living arrangements. It is said that much of the Morlocks, the villains of the story, were based on this woman’s personality! The Time Machine is the story of a victorian scientist and inventor from England. He is entertaining dinner guests in his home and reveals to them that he has built a machine that can travel through time. The time traveller leaves the dinner party to test his device and travels into the far future where he discovers the Eloi, a tribe of simple people that have no concept of work and seem to have little curiosity about their environment. The time traveller speculates that they are a peaceful communist society, the result of humanity overcoming nature and evolving to where intellect and strength are not advantageous for survival. During his efforts to communicate with Eloi, and in particular an Eloi woman named Weena, the time machine is stolen. The time traveller realizes that the machine has been dragged into a close by building that resembles a sphinx. During the night, he is threatened by the nocturnal Morlocks and within their underground home he finds the technology that makes the Eloi way of life possible. The Morlocks control the Eloi to their advantage, using the simple people as their livestock. The Morlocks, fearing the strangeness that the traveller represents, using the captured time machine to bait the traveller into an underground trap, little realizing that once he gains access to his machine, he is able to use it to escape them. The traveller pushes forward in time to the end of the world before he returns back to his origin, arriving a scant 3 hours later in the evening to the astonishment of his dinner guests. He relates his adventures to his guests and produces two exotic blooms from his pocket that he claims were given to him by Weena as proof. The following day, the time traveller prepares to make a second journey, promising to return in a half hour, but in the end he does not and after three years of waiting, the original narrator of the story realizes that he will never be seen again. My first exposure to this classic science fiction story and author was via the 1960 movie The Time Machine starring Rod Taylor. It was a special effects giant of its day, winning an academy award for stop-motion photography. I was completely enamored of film and it led me to seek out the book by H.G. Wells. From there I started to read more of his scientific romance stories and became hooked on his writing. Later, I would also become a fan of the 1979 movie Time After Time where the characters Herbert George Wells and Amy Robbins supposedly meet and fall in love in the 1970’s before they return via time machine to Well’s Victorian era where he is inspired to write his famous science fiction novels. The character of George Wells in the movie is very much as real life H G Wells might have been in personality. 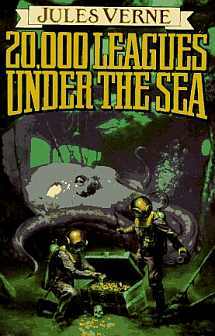 H. G. Wells is considered one of the progenitors of the science fiction genre and of scientific romance in particular. His views on the future were not always pleasant, but in his writings there is such a sense of reality that you can believe his reasoning and accept his views as a logical progression of where humanity might go. 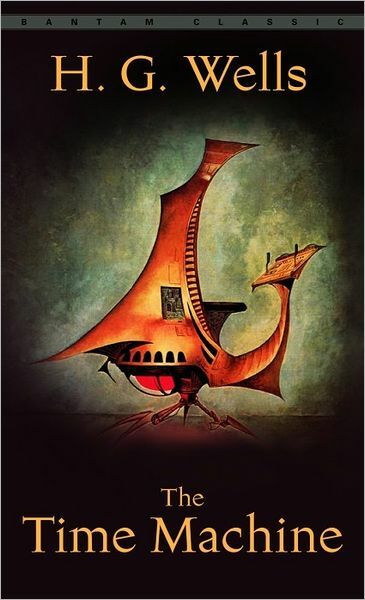 I personally find that the book has a steampunk feel to it, although it was created decades before the steampunk movement in literature began. The author and the protagonist of The Time Machine originate during victorian times and the story concerns an inventor of a fantastic machine that likely runs on steam like technology. Perhaps in a way, The Time Machine could be considered a forerunner to the steampunk sub-genre. You can download a free copy of The Time Machine at Project Gutenberg. It is one of the very first novels that they transcribed for the project.